I'm wondering what oil filter is everyone using when they change their oil. Are you using Mobil1, OEM, Hengst, K&N, or other? I guess I'm using OEM because I only bring it to the dealer for service. OEM. I buy oil and filters from the dealership and then give them to the independent shop to use. Anyone have a good site to buy the OEM from? jmc and BarberSon like this. Guys, while we are on the subject, how is everyone lifting their cars? I have a standard floor jack with two jackstands. What's the safest way to lift this thing so I can get down there and remove the cover to drain the oil pan? I have a fear of getting squashed by my car. Is what I have good enough? I am thinking about getting the jack stand pad from ebay. But from what I have read it's not for safety. It's for not damaging/scratching the bottom of the car at the jack point. Ramps for everything I do under my car. Only time I jack it up is if I need to remove wheels. 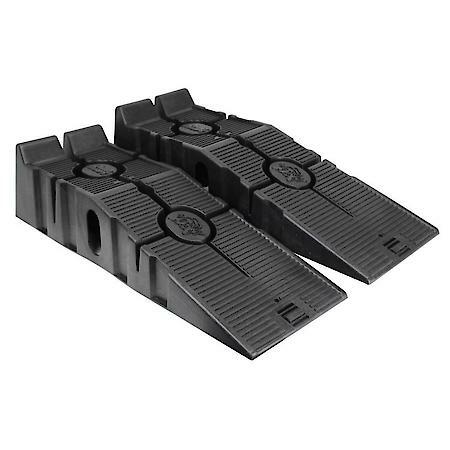 Would plastic ramps like these be acceptable? Would you also use wheel chocks?